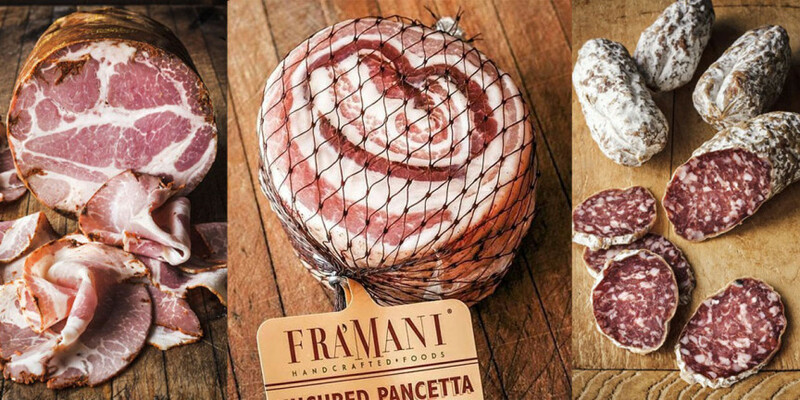 Paul’s maternal grandfather was a salumiere and his love of salumi was ignited at a young age while savoring prosciutto and soppressata vicentina from his grandfather’s cellars. Fra’ Mani seeks to keep old world food traditions alive in taste and craft, using ingredients of the highest quality from sustainable sources. Its meat, chiefly pork, comes from family farmers committed to the well-being of their animals and their land. The animals are never given antibiotics, artificial growth hormones, growth-promoting agents or meat by-products, and are raised on pasture or in deeply bedded pens.